ORBIS offers dumb waiter of different ranges for service oriented organizations like hotels, hospitals and banks among others. 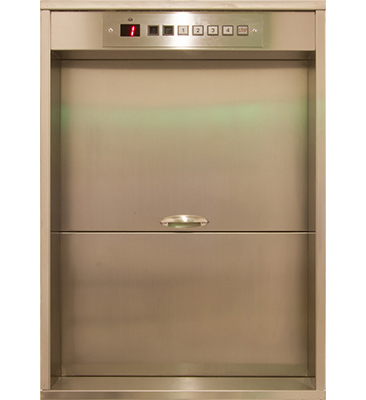 Polar D, our top selling dumb waiter provides fast handling of food, clothes or other inanimate materials through easy operation via a tailor-made control system. This sturdy model is a time saving, economical wonder for the service industry, both big and small.